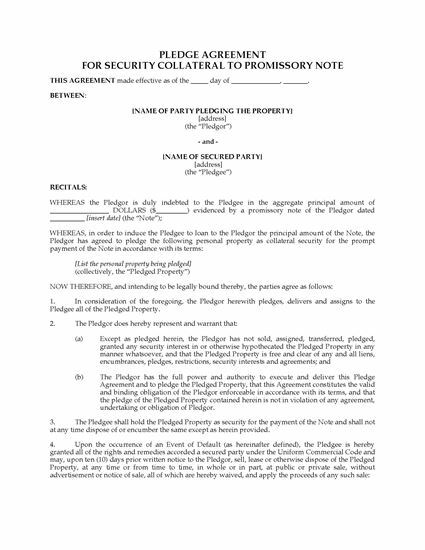 USA lenders who require additional collateral security can have their customers sign this Pledge of Security form as part of the loan documentation package. 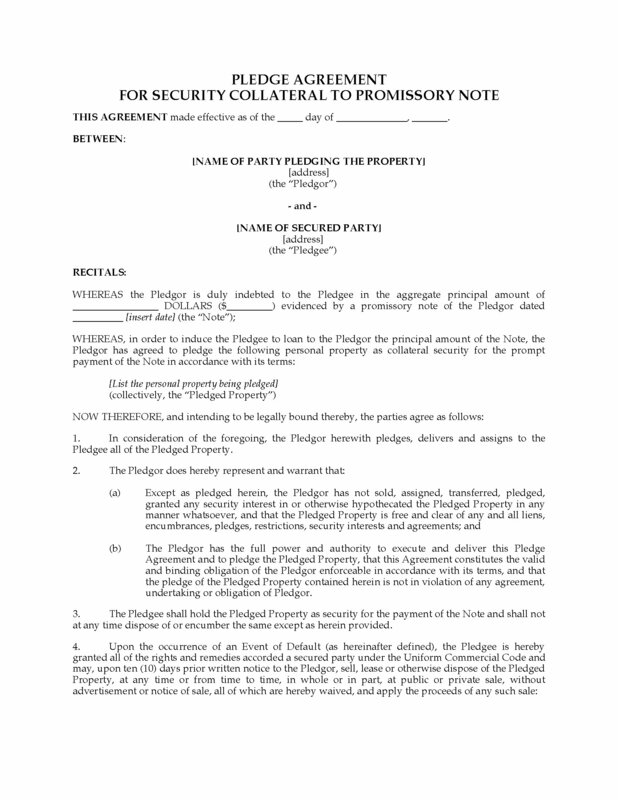 The borrower agrees to pledge personal property for the lender to hold as collateral security to ensure repayment of a loan under a promissory note. If the borrower defaults in payment, the lender has all the rights and remedies of a secured party under the Uniform Commercial Code, and has the right to sell, lease or dispose of the property as it sees fit. Once you have purchased the form, you can customize it for your business and use it over and over. There are no additional licensing or restocking fees. If you lend money, you should have this Pledge of Security form on hand for your loans officers. Purchase, download, fill in, print and get a signature - it's easy.